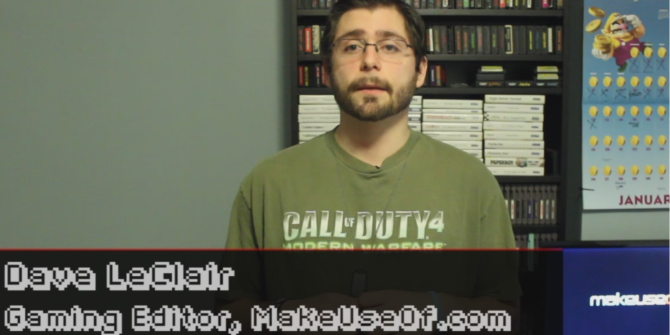 Welcome to MakeUseOf’s Video Game Hub episode 4, the weekly news show where we count top the top five news stories from the busy world of video games. A new episode airs each and every Friday. Who has time to keep up with all that constantly changing video game news? Oh that’s right, we do! This week, we have two huge updates coming to Xbox One consoles, a smaller update on the PS4, Titanfall’s PC specs, a major shakeup to the Call of Duty formula, and a Sonic the Hedgehog game that literally no one in the world asked for. We break down each of the stories so you can have your finger on the pulse of the biggest news in the world of video games. Of course, we also add in a little opinion to make things more interesting. Make sure to subscribe to MakeUseOf’s YouTube channel so you can see each new episode of Video Game Hub as soon it releases, as well all the other awesome video content we release such as product reviews and how-to videos. Thanks to Dj CUTMAN for providing the music for this, and every episode of Video Game Hub.